The Search space is constantly evolving. In an effort to make Search work better for the end users (the actual users who use the search engine to look for information), Google is continuously evolving its ranking algorithms. In this scenario where Google constantly moves the target, how can financial marketers device an SEO strategy that is relevant and effectively moves the needle on rankings? While some SEO tactics like building quality back links and developing content to match user intend continue to be relevant today, a lot has changed in the last 5 years or so. What your financial services digital marketing or Enterprise SEO team needs is a checklist of tactics financial marketers need to ditch ASAP from their enterprise SEO efforts to stay current and deliver meaningful impact. 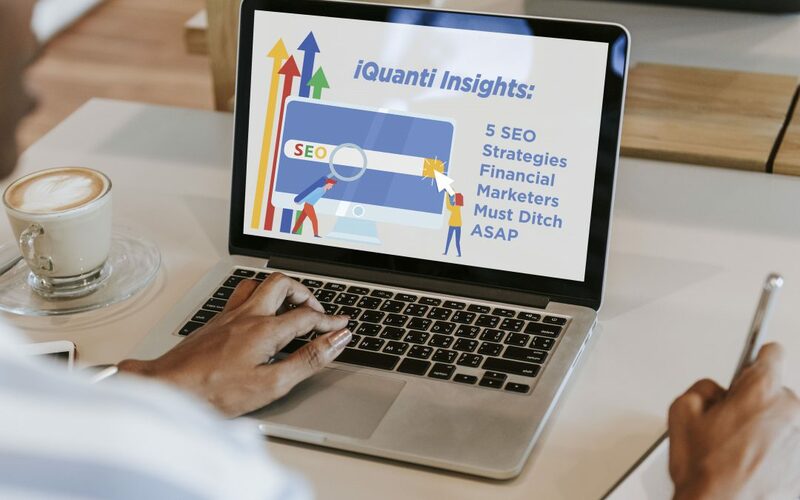 Read iQuanti’s Michael Bertini’s (Director, Search Strategy) SEO tips, as published in The Financial Brand here.